The Thrift Savings Plan now has nearly $100 million in Roth assets as a result of the retirement option’s increasing popularity among federal employees and servicemembers, according to the board that manages the TSP. The amount of money in the Roth pool doubled in the last two months; in September the balance was $48.7 million and at the end of November it was $97.5 million, reported officials from the Federal Retirement Thrift Investment Board during its monthly meeting in Washington on Monday. “The pick up on Roth continues to be strong,” said Renee Wilder, director of the board’s Office of Enterprise Planning. There are 73,041 enrollees with Roth balances, up from about 40,000 in August. 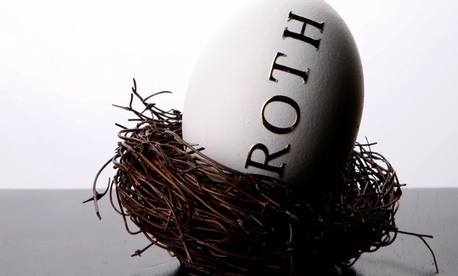 The TSP Roth option, unveiled in May, allows beneficiaries to invest money that already has been taxed and cannot be taxed again upon withdrawal, unlike traditional TSP investments. With Roth’s addition, participants now can invest pretax or after-tax dollars in any of TSP’s offerings as long as their total contributions are within Internal Revenue Service’s limits. The IRS increased the cap on annual individual TSP contributions in 2012 from $16,500 to $17,000, tracking a change in the cost-of-living index. Employees age 50 and older can contribute an additional $5,500 a year. The Roth option is especially attractive to younger employees, the board’s executive director Gregory Long said during a board meeting earlier this year. For example, it could be a draw for young service members who often receive annual allowances of $20,000 to $25,000 a year and don't want to get hit with taxes if they withdraw their money early. The board also reported Monday that the TSP processed more than 1.3 million post-separation withdrawals so far this year, 41,000 more than in 2011. November overall was a much better month for the TSP than October. All the funds in the TSP experienced modest gains in November, despite concern over the impending fiscal cliff. One element of the fiscal cliff that the board is keeping especially close tabs on involves the debt limit. The government is expected to hit its debt ceiling of $16.4 trillion sometime this week but has until February 2013 to avert a default if it uses the tools at its disposal, according to most observers. The law allows the government to take extraordinary measures to avoid a default, including tapping into and suspending investments into the Civil Service Retirement and Disability Fund and halting the daily reinvestment of the G Fund, the most stable offering in the Thrift Savings Plan's portfolio. Federal law requires the Treasury secretary to refill the coffers of the G Fund and the Civil Service Retirement Fund once the issue of the debt ceiling is resolved, and in addition, to make up for any interest lost on those investments during the suspension. The government last suspended investments into the G Fund because of the debt ceiling nearly a year ago, in January 2012. Kimberly Weaver, the TSP board’s director of external affairs, said after Monday’s meeting that they had not yet received any formal word from the Treasury Department that it planned to tap federal retirement accounts to avoid a default. “But we won’t be surprised when we get it,” Weaver said. TSP enrollees are not affected when the government suspends investments into the G Fund until the debt limit is increased. Weaver said the board also is tracking House-passed legislation currently pending in the Senate that would allow the Internal Revenue Service to tap Thrift Savings Plan accounts to collect unpaid federal taxes. She said the Senate likely will approve the bill before the end of the year, but it’s not guaranteed given all the work lawmakers have to do in the next few weeks to avoid the fiscal cliff.